Apple has come up with a way to allow a self-driving car to communicate much more than lane changing information to other drivers of maneuvers it intends to perform, with the advance warning likely to reduce the possibility of accidents involving both driven and autonomous vehicles. 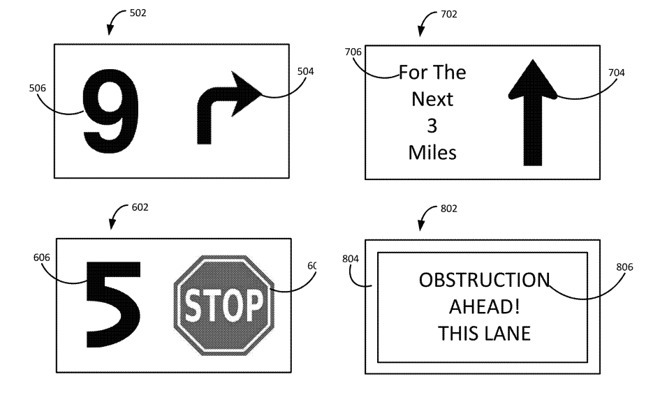 Awarded on Tuesday by the U.S. Patent and Trademark Office, the patent for "System and method for visual communication of an operational status" centers around ways drivers provide indications of intent to others on the road. Rather than just relying on turn signals, the patent notes that drivers can usually pick up on subtle cues from drivers in other vehicles that offer up more information, potentially before the turn signal is deployed. As an example a driver may look at a rearview mirror multiple times, something which could be an indication that they are about to change lanes. Since many drivers acknowledge these sorts of indirect indicators while on the road, the filing suggests some road users "are uncomfortable operating a vehicle around autonomous or unmanned vehicles." The uncertainty and inability to anticipate movements in traffic make determining intent almost impossible, and could lead to collisions that otherwise may have been avoided. Apple's solution is for the self-driving vehicle to provide more data for other drivers to take into account. By calculating the route beforehand, the self-driving system can display an indicator of the next step on an external surface as an advanced warning of what it wants to do, such as a specific turning or preparing to park. Since the indicator is provided ahead of time, the notification could also include a countdown timer for when it expects to perform the maneuver, so the driver could know when it should take place. It is even feasible for the system to provide warnings of things not visible to drivers behind, advising of unanticipated obstructions or other incidents. The proposed notification system may not necessarily restrict its warnings to just a notification area. For movements where other road users need to be highly aware of a self-driving car's movements, a projection system could illuminate areas of the road the vehicle intends to move towards. When changing lanes, the projector could highlight the space the car wants to move into, while parking projections showing tracks where the vehicle will turn into could keep pedestrians from walking into its path. 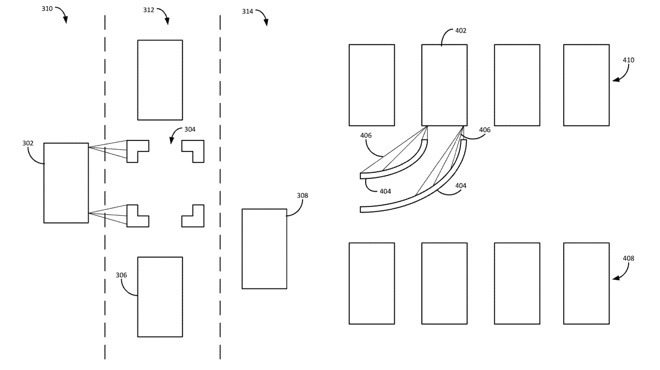 The patent is one of a number of filings Apple has made with the USPTO regarding self-driving car systems. One filing in July suggested how a vehicle could change its driving style based on the observed stress of its passengers, while March filings covered gesture-based controls within the car, as well as the gestures of police and other traffic directors outside the vehicle. 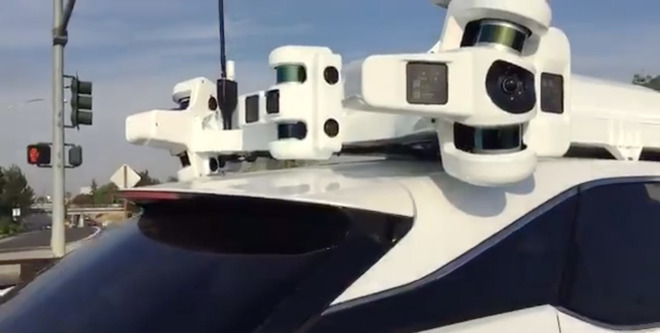 Apple is known to be working on self-driving technology as part of "Project Titan," originally a codename believed to relate to a branded car until 2016 before a shift in focus. The company operates a fleet of vehicles for testing its self-driving systems, and is also thought to be working with Volkswagen on the PAIL program, which would ferry employees between offices using autonomous vans.